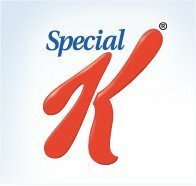 Can I Lose Weight with Special K? It's a New Year, and like many of you, I'm hoping to drop a few pounds before things start picking up in my social life. I have to go to quite a few conferences this year, and I really don't want to emerge in my "haven't lost any weight since my son was born 18 months ago" state. I've tried a few plans that have gotten me down to my weight when I left the hospital, but I haven't gotten to pre-baby state yet. I'd love to get 6 more pounds off, if possible. If you're interested in checking it out, I recommend looking the site over before you grocery shop. They have tools to help you meal plan, and there isn't just one plan, either; you can choose to design a plan based on the goals you have for your life. Choose from The Special K Challenge, Getting Ready for a Special Event, Achieving a Goal Weight, or Maintaining your Weight. The choice is yours! Over the next two weeks, I'll be sticking to the Special K Challenge plan to see if it makes a different to my weight. I'm not adding in additional exercise because I want to see how much of it is due to the plan, itself. • Of women surveyed, the respondents said that weight loss programs are easier to follow when they had shopping lists (69 percent), personalized meal plans (65 percent), tracking tools to show how close they are to their goals (63 percent) and family/friend/online community support (63 percent). • For the first time since the Special K Challenge™ launched in 2003, the Special K brand has updated the SpecialK.com site to allow women to customize a free weight-management plan just for their unique lifestyle, needs and goals. In addition, the Special K brand has marked today (January 2, 2012) as National Weigh-In Day, inviting women to “weigh in” on the conversation of weight management via Facebook and Twitter. Join me on my journey to see if Special K can help me make simple, worry-free eating decisions that will be better for my body and my moods. I'll be checking back soon with results! Claim Language: Consult your physician before starting any diet or exercise program. Average weight loss when replacing meals with two cereal meals is 4.8 pounds. Weight loss may vary. Average waist circumference reduction when replacing meals with two cereal meals is 1.3 inches. Weight loss may vary.